The Aviation Society of New Zealand has been in existence since 1958. In its 60 years of existence it has recorded the history and current events of aviation in New Zealand in its journals and other publications. But more than that it has inspired others to record this history. The Society has recently fired up a new website which among other things includes all the NZ Wings on line. What an excellent resource. This is a great bonus as I thought they had disappeared off line. And please, just don't use the website, join the Society as well. 2018 has been been an interesting year on the domestic airline front. I didn't predict a lot of change with the exception perhaps of Air New Zealand looking hard at ports like Hokitika and Timaru and the Hamilton-Palmerston North-Wellington service. But 12 months on all these routes are still in the Air NewZealand stable. 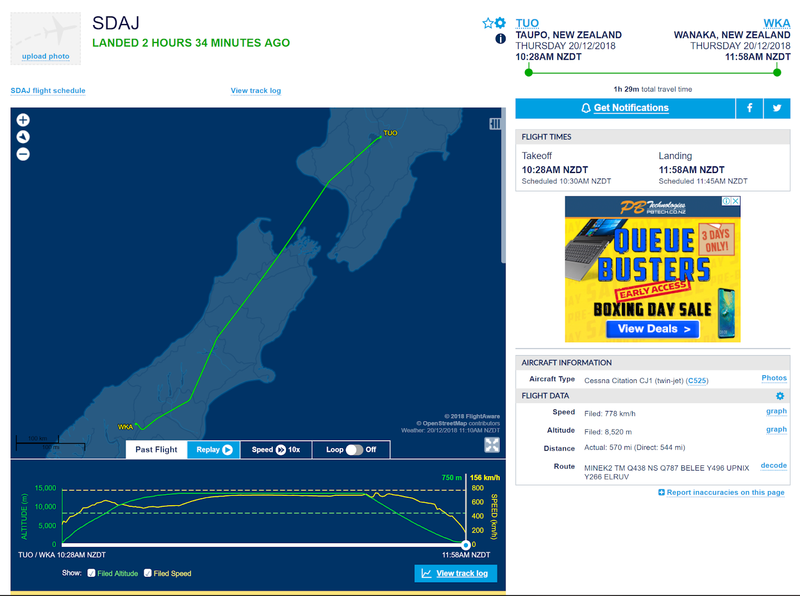 What I didn't see was Air New Zealand pulling out of Kāpiti Coast - and I suspect Air New Zealand didn't see that at the beginning of the year either, and I am sure they did not expect the political backlash! I thought Jetstar might have expanded into Tauranga. That didn't happen. And I didn't see a lot else happening. But things did happen. The year has seen new aircraft, new routes, with a couple of airlines closing and a couple of small operators starting up! Barrier Air's second Cessna Grand Caravan, ZK-SDC entered service. Sounds Air added an extra four flights per week between Wellington and Blenheim. Air New Zealand increased capacity into and out of Tauranga by adding a new weekday Wellington return flight and operating larger ATR aircraft on early morning flights to Auckland. One additional flight each week was added between Rotorua and Wellington allowing a Rotorua overnight service to be reinstated. Sunair cleared to fly again after a CAA's 203 day grounding. Scheduled services were offered from 28 May with flights offered from Hamilton or Tauranga to Great Barrier Island or Whangarei, and from Great Barrier Island to Whitianga or Whangarei. Air2there operated its last scheduled services using Originair's Jetstream ZK-ECI. 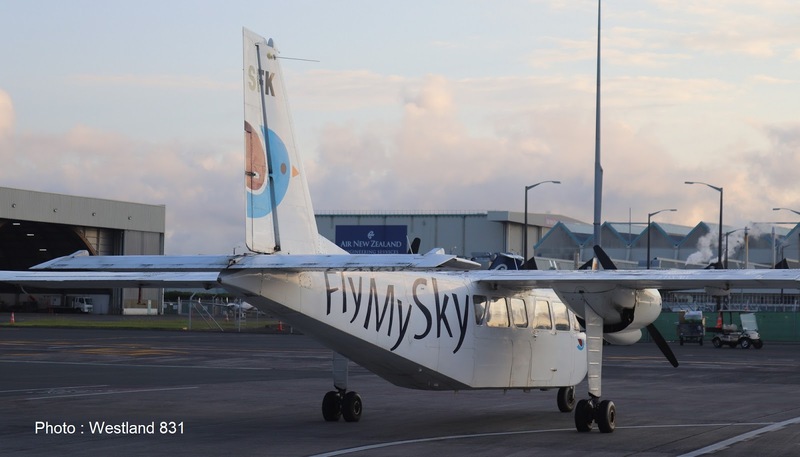 FlyStark was still offering scheduled services early in 2018 but on 10 August 2018 their last aircraft was sold. Air New Zealand added an additional 12 one-way business timed services per week between Palmerston North and Auckland operating southbound Sunday to Friday and northbound Monday to Saturday. 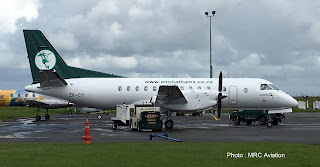 Air Chathams launched its Kāpiti Coast-Auckland air service The inaugural service was operated by Air Chathams Saab 340B ZK-CIZ under the command of Captains Craig and Duane Emeny. Barrier Air's third Cessna Grand Caravan, ZK-SDD entered service also unveiling the airline's new colour scheme. The company also added 12 additional flights per week between Auckland and Great Barrier Island. Air New Zealand introduced an additional Bombardier Q300 between Auckland and Napier six days per week. Air New Zealand started operating five additional return A320 services per week between Dunedin and Auckland. Air Napier changed hands on the 2nd of November 2018 with Gary Peacock selling the Napier-based airline to Shah Aslam. 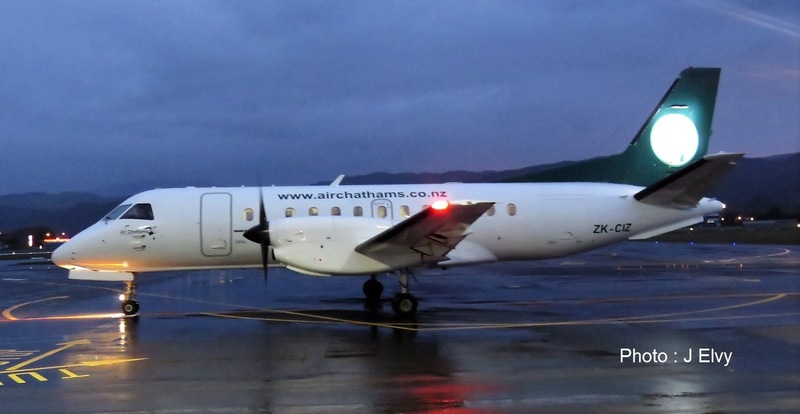 Air Auckland commenced scheduled services between Ardmore and Whitianga and Ardmore and Great Barrier Island. 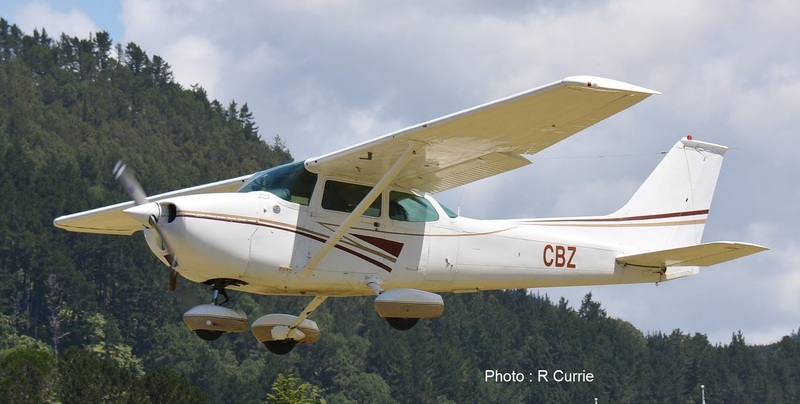 Waiheke Wings commences operation from Waiheke Island with two Cessna 172s. Waiheke Wings is the sole operator of services to and from Waiheke. Sounds Air begin operated jet charter operations using Cessna 525 Citation CJ3 ZK-RJZ. 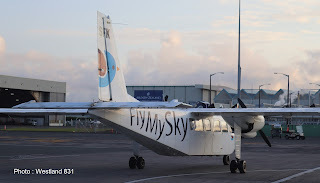 A Gippsaero GA8 Airvan, VH-BNG, arrived in New Zealand for Golden Bay Air. She had better luck than me... 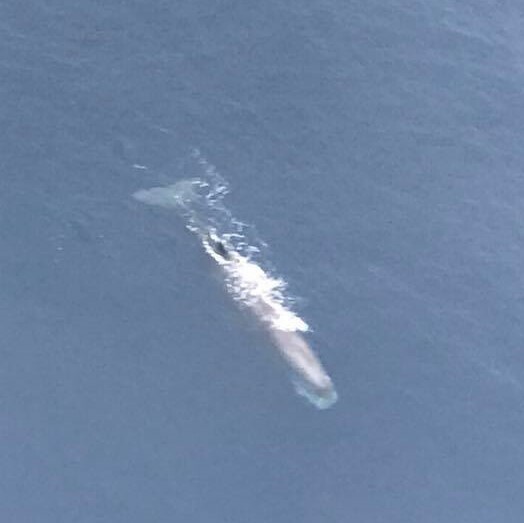 I was going to go on a flight some years ago when doing a series of posts on Kaikoura and was supposed to go for a fly but the weather was too dodgy! Also on the Kaikoura airfield are two other Airvans, ZK-KBZ and ZK-FSR, operated by Wings over Whales. or is it international flights??? and before cooking West Coast whitebait for tea! 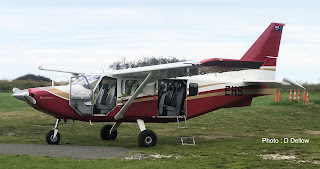 Thanks to Richard who has sent me this picture of Waiheke Wings' Cessna 172 ZK-CBZ at Pauanui today, 28 December 2018. Richard writes, Further to your blog on Waiheke Wings they have been busy today flying in and out of Pauanui using Cessna 172M CBZ. As you can see from the photo theres no obvious signage on the aircraft. "Is Santa bringing a late present for Golden Bay?" 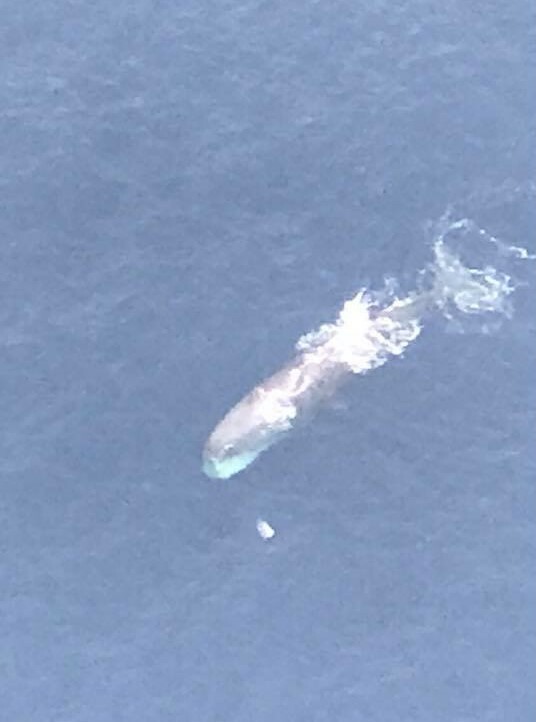 This is the latest post on Golden Bay Air's Facebook page. Also posted was a screenshot from Flightaware showing a Gippsland GA8 Airvan, VH-BNG, flying yesterday from Latrobe Valley to Melbourne's Essendon Airport. And the answer is "Yes! Santa is bringing a late present for Golden Bay Air" The factory new Airvan is now over the Tasman and due in Wellington about 11.00am and will fly to Nelson later today and will be registered ZK-ZUG. From Wellington the Airvan proceeded to Nelson where it had the ferry fuel tank and was removed. The Golden Bay Air Facebook page says, "But you'll have to wait a couple of weeks now until the grand reveal" so it look as if it is to be repainted in Golden Bay Air colours before entering service. 1. Has Saab 340 ZK-CIY entered service yet? There have been delays here due to a late decision to carry out a 4000 hour inspection and upgrade avionics in line with future PBN requirements. There have been a few unsuccessful system check flights on the new avionics fit. Another flight is scheduled for Christmas Eve to sign off the GPS upgrade. Then it will start operating on schedules/charters. 2. I see the morning Auckland-Kapiti Coast and late morning Kapiti Coast-Auckland flight has been cut... Have you any comment that you would like to make? These flights were implemented on our original schedule based on our schedules in Whanganui & Whakatane. However, they were flight timings not previously offered by Air New Zealand and the uptake has been poor so they will be discontinued and are no longer available for booking. I would just add to Duane's comment, Air New Zealand initially started into Paraparaumu with three weekday flights but couldn't sustain it. The last operation of flight 3C640 from Auckland to Kapiti Coast and flight 3C647 Kapiti Coast to Auckland is scheduled for Monday 24 December 2018. I finished with a general comment... "It is great to see Air Chathams developing the way it is... it is certainly the most interesting and dynamic airline in New Zealand at present. Look forward to seeing what you guys will do next!" And speaking for the airline enthusiasts in New Zealand Duane, we looking forward to seeing what you guys do next. Christmas greetings to you and the Air Chats team! Following up from my post on the 10th of December... On that day I wrote, It seems no Originair flights were operated over the weekend for Originair despite the company's website showed full flights for Friday, Sunday and Monday. The website shows all flights are full for next weekend. 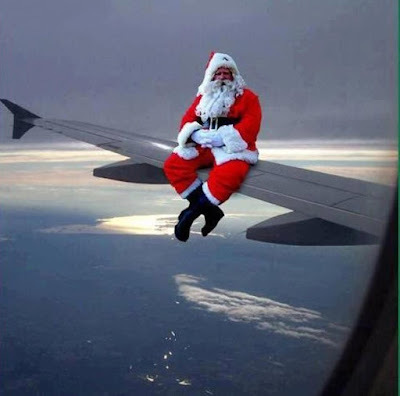 Flights can be booked for flights from the 19th of December. However no flights were flown on the 19th, nor today which I would have thought would have been busy! The company is still advertising to book now but one wonders if and how flights will resume in the near future??? Out today on its first Sounds Air flight was Cessna 525 Citation CJ3 ZK-RJZ which operated from Wellington to Taupo-Wanaka-Wellington with the callsign SDAJ (Sounds Air Juliet). The jet is being operated by Sounds Air rather than being owned by Sounds Air. Looking for Two Logos... Can you help?? ?